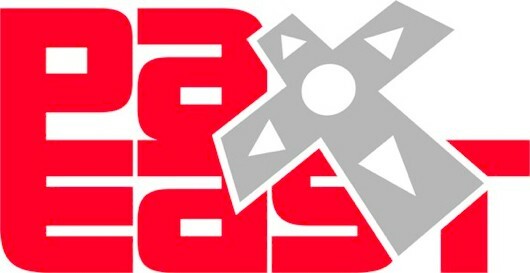 Ledo and Ix will be making an appearance at PAX East, the giant gaming convention hosted by Penny Arcade! Season One of Ledo and Ix will be screened in dazzling high definition (including a first look at Episodes 6 and 7), and the audience will be invited to participate in a moderated discussion with series creator Emily Carmichael. Much like an electron’s, the flitting movements of Carmichael’s thought process are outside our or any human’s power to predict, but those familiar with her in private life know she enjoys discussing the relative merits of Final Fantasy games (including those she has not played all the way through), as well as the Big Issues of Gender, Genre Tropes and Storytelling. I’m surprised that an intelligent post like this hasn’t spawned a slew of comments considering the quasi controversial nature of the subject matter and the increasing popularity of this website due to the tie-in with Penny Arcade. As a male myself having never made a comment as explicitly brazen as the one depicted in the comic, I think one problem that most men share is that sometimes *any* comments we make, regardless of the positive intentions in their nature, are sometimes taken the wrong way and branded as being “sexist.” Even the ones very innocent in nature. I wonder if this is simply a product of years and years of sexism existing in our society. Or maybe the internet ends up amplifying things beyond the scope of their original intentions. I really wanted to congratulate the team on Ledo and Ix but couldn’t find a good place to post. This will have to suffice. I dropped on it, like many, thanks to PATV. I found the first 2 episodes (as it was then) quite intriguing. Now, I actively check for new episodes daily, the show (show?) is a favourite of mine and I actively advertise it to friends. Fascinating, clever, funny, enigmatic, reminiscent, it’s a noun-fest! All the best to the team and it goes without saying, MOAR PLZ!